In the 1800s, water from a stream running through Westport gave power to one of the mills there. The stream then traveled southeast and emptied into Brush Creek. The area through which the stream traveled was called Mill Creek Valley. The stream is now part of the city sewer system. 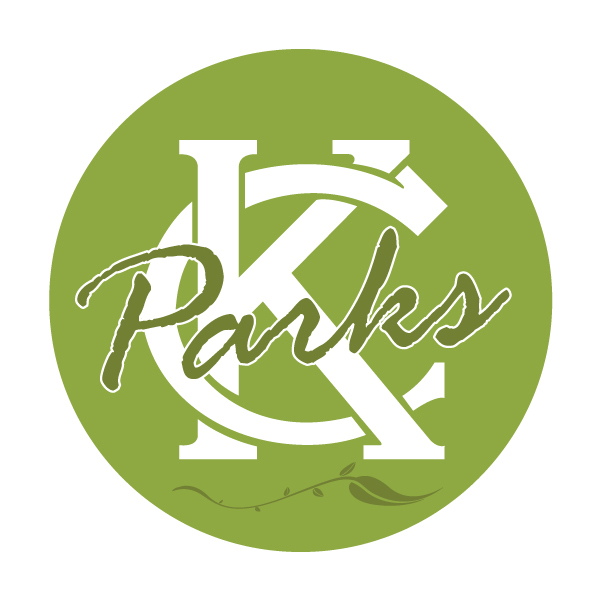 In 1908, the Kansas City Board of Park Commissioners began work to acquire land in the Mill Creek Valley for a public parkway. Over the next few years, the property was condemned, buildings on the condemned property were sold, and roadwork began. In 1913, Mill Creek Parkway, which ran from Westport Avenue to 48th Street, officially opened. 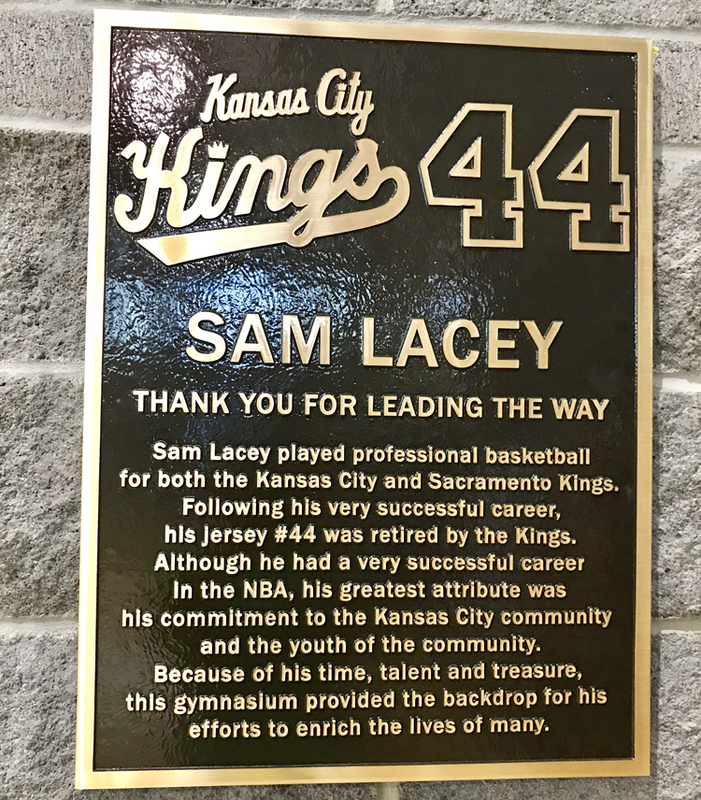 Mill Creek Parkway is now known as J. C. Nichols Parkway (renamed in 1952 following the death of real estate developer J.C. Nichols who built the Country Club Plaza as well as many residential districts and smaller shopping centers in the greater Kansas City area). 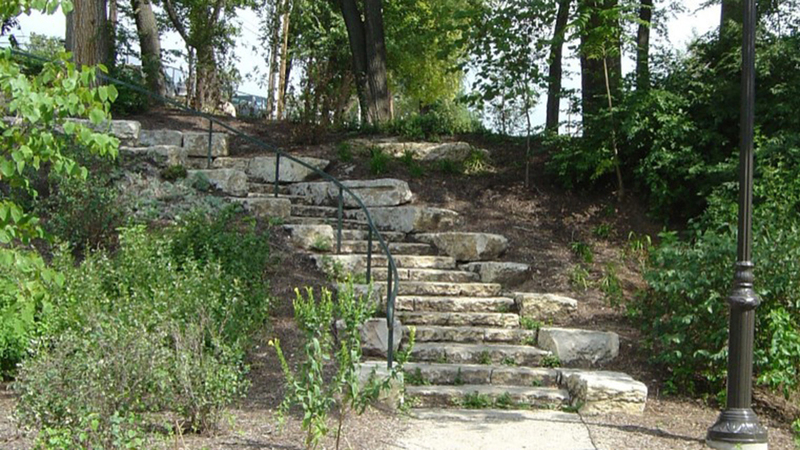 What is today’s Mill Creek Park was acquired as right-of-way for Mill Creek Parkway. Tennis courts were built at the north end of the park at 43rd Street around 1914. Other tennis courts were added later further south in the park near Main Street. A memorial to the women of the Old South was placed in the park at the northeast corner of 47th Street and Mill Creek Parkway in 1934. 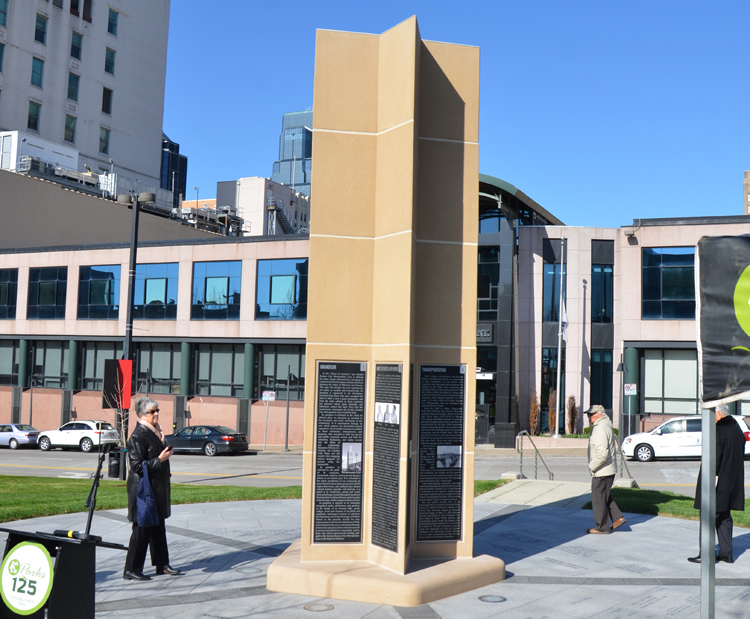 This memorial was moved in 1958 to make way for the J.C. Nichols Fountain and is now located at 55th and Ward Parkway. 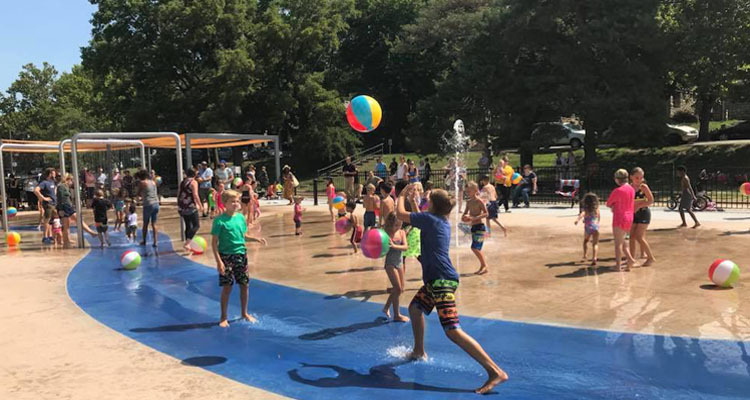 In the early 1980s, Miller Nichols began working with cardiologist Dr. Ben McAllister and KC Parks to make portions of the park include a walking/jogging path, an exercise area, benches, lighting and landscaping. Over the next several years, work was done to clean up overgrowth and debris in the north and east areas of the park. Additional lights and a fitness trail were added; some trees and flowers were planted. 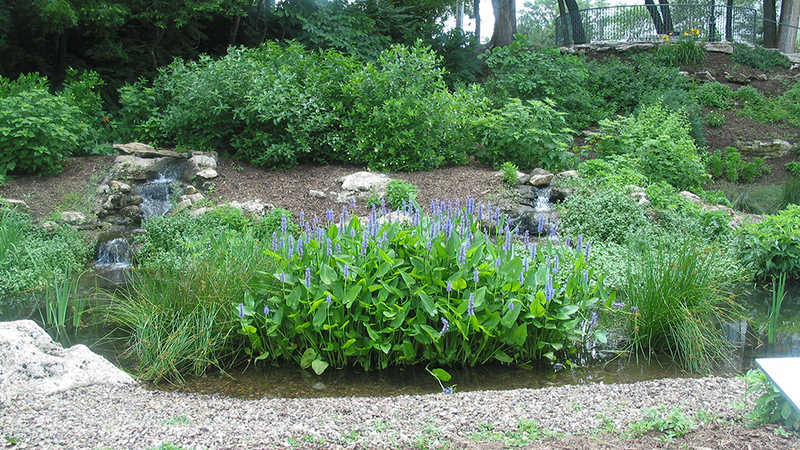 Also, an eco-pond fountain was created in the northeastern part of the park. Much of park remains an open and grassy area. 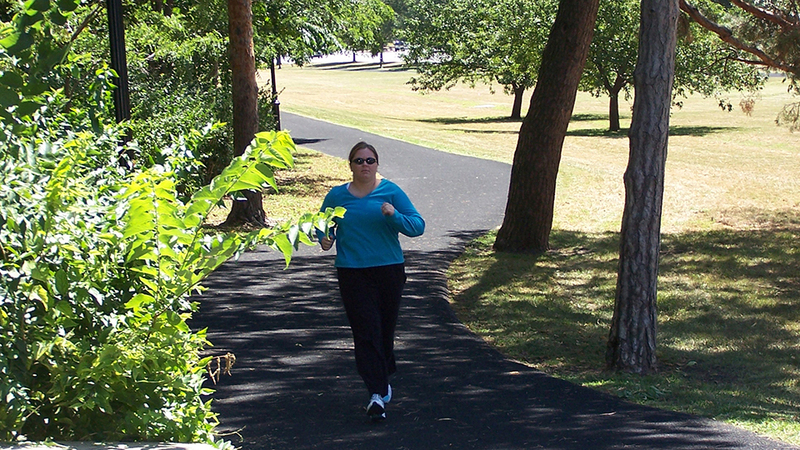 In 2011, exercise stations were setup along the walking trail. More information about the Mill Creek Park Exercise Trail. 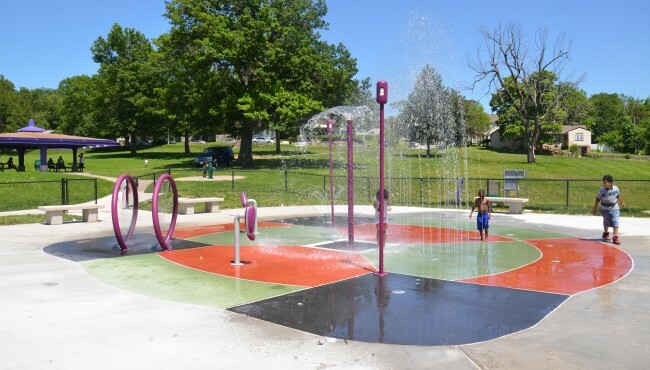 At 11.43 acres, Mill Creek Park is a very popular and well-used park in Kansas City’s park system. 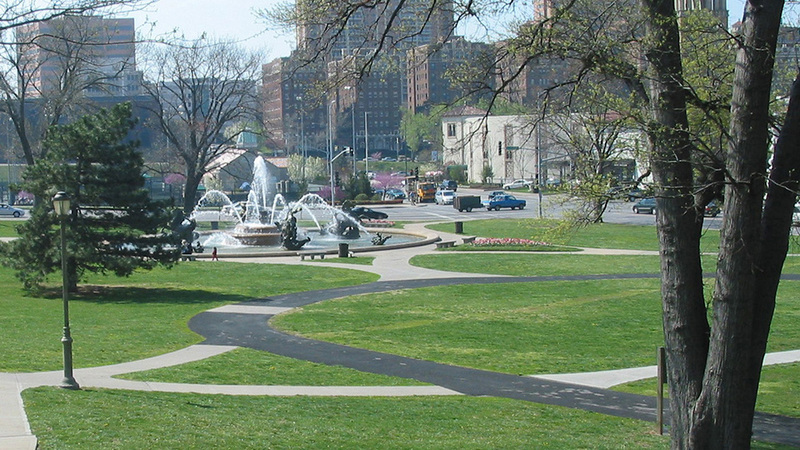 The Plaza Tennis Center is located in the park. Commercial promotions are NOT allowed in Mill Creek Park. Any items brought in for an event must follow the park’s item regulations. Vehicles are not allowed to drive on the grass for item pick-up or drop-off. The following items are NOT allowed in Mill Creek Park: Portable toilets, large tents, staging, any large equipment, and vehicles on the grass. 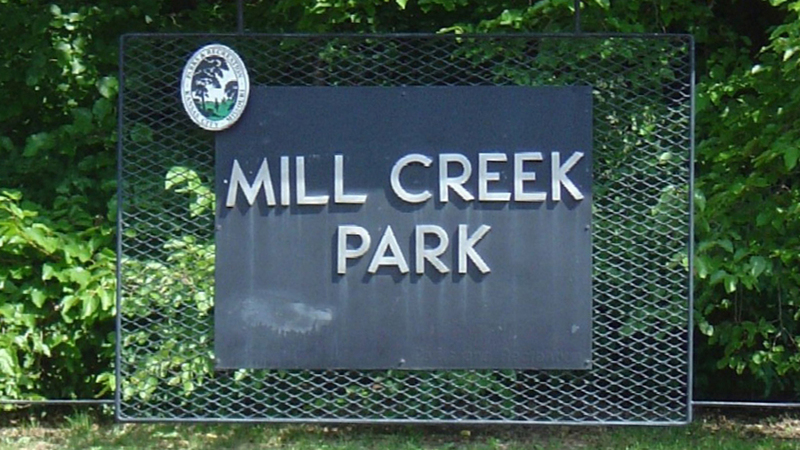 Visitors seeking to hold an event in Mill Creek Park must first fill out and submit an event request form. They are also encouraged to read through the Special Events FAQ, and to be aware of the park usage fees. For more information, visit the parks permits page.